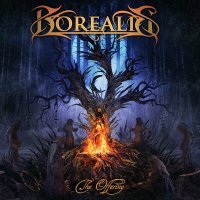 This is the fourth studio album from Canadian Melodic Power Metallers Borealis and I have to say that it is one of the best albums of its kind that I've heard for many a moon. Their first three releases were very good, but with 'The Offering' the band have pulled out all the proverbial stops to record a masterwork in the genre of Power Metal. The musicianship is off the charts and the vocals of Matt Marinelli are a force to be reckoned with. However, what makes this album stand out from all the rest of the bands in this over-crowded genre are the songs; they are dynamic, aggressive, entertaining and filled with enough melody to fell a charging Bull. 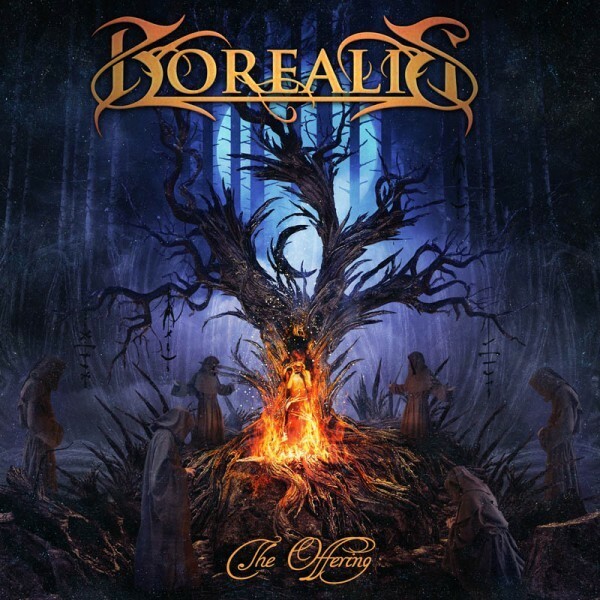 Borealis have really struck at the heart of what makes a great sounding Metal album. The first song is all the proof you'll need of what I have just stated above. 'The Fire Between Us' starts slowly until the guitars of Matt Marinelli and Ken Fobert explode from the speakers with a riff that threatens to dislodge your head from its shoulders. From there on in, Borealis attack your audio senses with a melodic Metal barrage that is second to none. 'Sign Of No Return', the title track, the rifftastic 'River' and 'Second Son' all show a band that have a wonderful ear for Metal that is infused with melodic sensibilities. However, Borealis also know that you can't just have a one-paced album and the exquisite ballad 'The Devil's Hand' sends chills down your neck as you play it. The awesome 'Scarlet Angel', the glorious riff-heavy 'The Awakening' and the nine-minute epic entitled 'The Ghosts Of Innocence' continue this album's Melodic Metal assault. I have returned to this particular release more than any other over the last couple of months simply because it is a "monster"! If you like beautifully crafted songs that are played by consummate musicians who understand that melody is King, then I suggest... no, heavily urge that you buy, beg or borrow a copy of this incredible album as soon as you possibly can. This is a killer release from one of Canada's best-kept secrets.